Question: "I know many believe women are supposed to cover their heads, but in many parishes, few women observe this. Also, there seems to be a difference of opinion about whether girls should have their heads covered. Is this just a matter of custom, or is there a correct practice?" St. Paul speaks of women covering their heads when at prayer is 1st Corinthians 11:2-16, in no uncertain terms. The only dispute about this practice in the early Church was at what point in a woman's life was she to begin covering her head. Tertullian wrote about this in his treatise "On the Veiling of Virgins," which was written approximately in 204 a.d. It was the general practice that it was not obligatory for girls who had not reach puberty to cover their heads, and it was the universal practice that married women covered their heads, but some held that adult virgin women did not need to cover their heads. Tertullian argued against that position, and argued that all women should cover their heads once they had reached puberty. It has also been the custom in parts of the Church for girls of any age to have their heads covered. It was even the practice for women to cover their heads in Protestant churches up until about the 1960's -- I remember seeing many women still observing this as a child growing up in Protestant Churches. 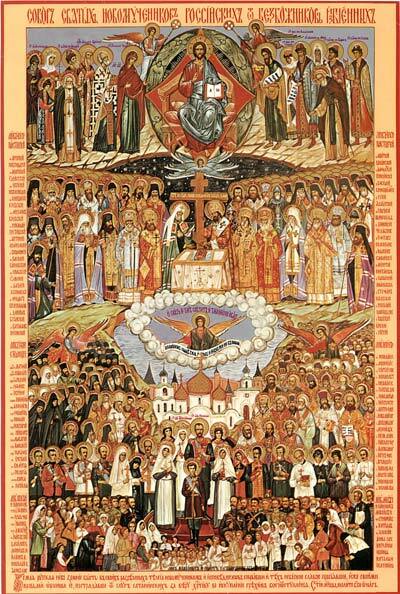 But even today, some Protestants, many Catholics, and most Orthodox continue to observe this apostolic practice. My opinion on this is that while it is clearly the Tradition for all women above the age of puberty to cover their heads, I think it is a good idea for Orthodox families to adopt the practice of covering the heads of younger girls as well, simply because if you do not get a young girl in the practice of covering her head in our culture, the chances that she will ever observe that practice is dramatically reduced. In our own parish, as with a number of other issues, we ask people not to take up the task of enforcing this tradition on anyone else. We simply hope that those who do not observe this practice will be inspired by those who do, to change voluntarily. But in our culture, if we were to beat people over the head on such matters the first time they walked into the Church, there is little chance they would stick around long enough to be convinced to do anything differently. Some people have asked why, since this same passage says men should keep their heads uncovered at prayer, clergy are allowed to wear things like skufias, kamilavkas, and mitres? The passage speaks generally about men. It does not address clergy. You find head gear for the priests in the Old Testament, also in the book of Revelation in the heavenly worship (4:4 and 4:10), and also Church tradition tells us that St. John wore a mitre during the services (see Eusebius, Ecclesiastical History 3:31:3 and 5:24:2. These hats are signs of rank and honor, but even bishops are obliged to remove their mitres at the most important parts of the service. Only women keep their heads covered throughout the service, and so you could say that they have the highest award when it comes to head coverings. Stump the Priest: What is the Soul? Question: "What is the soul?" The word for soul in Hebrew is "nephesh," which on its most basic level means "life": "And the LORD God formed man of the dust of the ground, and breathed into his nostrils the breath of life; and man became a living soul (Genesis 2:7). In this sense, any living creature has a soul (as seen by the use of the word nephesh in Genesis 1:20, 1:24, and 1:30). The word is also used to refer to a person (e.g "All the souls that came with Jacob into Egypt, which came out of his loins, besides Jacob's sons' wives, all the souls were threescore and six (Genesis 46:26)). The soul refers to the internal life of a person ("...my soul is troubled greatly" (Psalm 6:3). The soul also refers to that which leaves the body at death ("And it came to pass, as her soul was departing, (for she died)...(Genesis 35:18)), or in the case of the child brought back to life by Elijah, that which returns to the body ("And the Lord heard the voice of Elijah; and the soul of the child came into him again, and he revived" (1 Kings 17:22). When the person dies, the soul continues to exist, but the souls of the righteous are delivered from the grave: "Yet God shall redeem my soul out of the hand of hades, when he receiveth me" (Psalm 48:15). St. John of Damascus describes the soul as follows: "The soul, accordingly, is a living essence, simple, incorporeal, invisible in its proper nature to bodily eyes, immortal, reasoning and intelligent, formless, making use of an organised body, and being the source of its powers of life, and growth, and sensation, and generation, mind being but its purest part and not in any wise alien to it; (for as the eye to the body, so is the mind to the soul); further it enjoys freedom and volition and energy, and is mutable, that is, it is given to change, because it is created. All these qualities according to nature it has received of the grace of the Creator, of which grace it has received both its being and this particular kind of nature" (On the Orthodox Faith, 2:12). In commenting on Genesis 2;7 and 1 Corinthians 15:45, St. Gregory Palamas says that "living soul" means "ever-living, immortal, which is to say intelligent, for the immortal is intelligent; and not only that, but also divinely blessed with Grace." (On the Holy Spirit 2:8, quoted in Orthodox Psychotherapy; The Science of the Fathers, by Metropolitan Hierotheos (Vlachos), trans. Esther Williams, (Birth of the Theotokos Monastery: Levadia, Greece, 1994), p. 101). St. Maximus the Confessor says that the soul has three powers: "a) that of nourishment and growth, b) that of imagination and instinct, and c) that of intelligence and intellection [understanding]". Plants have the first power. Animals have the first and second. Men have all three (Metropolitan Hierotheos (Vlachos), p. 106). When we speak of our "mind," "heart," "reason," and "spirit," these are all aspects of the human soul. As fallen creatures, our soul is in need of redemption, cleansing, and healing. The Greek word for soul is "Psyche", which is where we get the word "psychology" (the study of the soul). There is a very good book on the Orthodox understanding of the Soul, which is cited above: Orthodox Psychotherapy: The Science of the Fathers," by Metropolitan Hierotheos (Vlachos). However, this title is misleading to English speakers, because when we think of "Psychotherapy," we think of Sigmund Freud taking to someone on a couch, about their mother. But the word here is used in its original sense -- the healing of the soul. When I was about 12 or 13 years old, while listening to the radio, I heard one of the most striking sermons I ever heard. Despite having only heard this sermon once, it has stuck with me to such an extent that I have never been able to read the stories of Ahab, Jezebel, Naboth, the Prophet Elijah, and Jehu, without thinking about that sermon. I could still cite many of the lines from that sermon from memory several decades later. The other day, I had reason to mention this sermon in a conversation, and then it occurred to me that if I googled some of those lines I might be able to find a recording of it, so that the person I was talking to could hear it for themselves. What I found was amazing in itself. 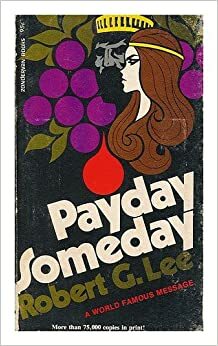 As it turned out, the title of the Sermon was "Payday Someday", and it was delivered by Robert Green Lee, who was a Southern Baptist preacher of a very different era. He was born in South Carolina in 1886, and passed away in 1978... fairly close to the time I first heard that sermon. It also turned out that he had not preached that sermon on only one occasion -- he had preached it 1,275 times. This sermon was famous... but back in the day before the internet. or electronic mass media, if you wanted to hear a great sermon or speech, you had to either travel to hear it repeated somewhere else, or try to get the speaker to come and repeat it in your area. He preached this sermon all over the country, and in many foreign countries. So not only can you hear this sermon on the Internet, but you can hear several versions of it... and though the content is mostly the same, each sermon has some unique elements to it as well. What is most striking is how different his speaking style is from what you generally hear today, even in Baptist churches. He uses a lot of alliteration to keep his hearers attention. He paints vivid word pictures. He voice acts the parts of many of the characters in the stories he tells. He fills in the gaps in the story by describing what they must of been thinking or doing at various points. And the combined results are a very vivid recounting of what you find in 1st Kings chapters 21 and 22, and 2nd Kings chapter 9. I would take issue with some of the things he says, but it is worth listening to just as an oratorical display of a bygone era, and it generally does accurately convey the main points of these passages of Scripture. Reader Peter Gardner, has produced the first (at least to my knowledge) complete Prophetologion in English St. Polycarp Press. This text uses the Boston Psalter for the prokimena. It uses the Lancelot Brenton Septuagint text, but for names of people and places, it uses the most common spelling used in English. The book is currently printed by Lulu.com, but the binding is well done. This is a very important text to have, especially for the Lenten readings. Every parish should have a copy, but it would also be nice for families to have in order to do the daily Old Testament readings during Lent. Question: "Why do the Orthodox have patron saints?" The Scriptures make clear how important names are, as Fr, Josiah Trenham eloquently lays out in his article: "Christian Names & Patron Saints." But not only are the names of men in Scripture of great significance, but the name of God is so important that in the Ten Commandments were are forbidden to use it in vain. The name that God revealed to Moses was "Yahweh", which means "the One Who Is." God is self existent being, and the ground of all being. The name of Jesus is derived from Yahweh, and means "Yahweh Saves." We are told by St. Paul that the Father has given Christ "a name which is above every name: that at the name of Jesus every knee should bow, of things in heaven, and things in earth, and things under the earth; and that every tongue should confess that Jesus Christ is Lord, to the glory of God the Father" (Philippians 2:9-11).Proverbs 18:10 tells us that "The name of the LORD is a strong tower: the righteous runneth into it, and is safe." And Again, St. Paul says that "whosoever shall call upon the name of the Lord shall be saved" (Romans 10:13. So names are not just meaningless labels, but are extremely important. Names tell us a lot about a person, and a change of name is also very significant in Scripture. For example, the patriarch Jacob's name means "usurper", because he was born grabbing the heal of his twin brother who was the first born. He went on to usurp his brothers birthright by deception, but then endured many hard years of labor for his uncle Laban in which he himself was deceived by Laban. When he came back to Canaan, and was about to face the brother whom he had wronged he has an encounter, in which he wrestles with an Angel, and is given a new name -- Israel, which means "a prince with God" or "one who prevails with God," signifying his spiritual transformation. In the early Church, when pagans came into the Church, they usually had pagan names which had pagan meanings. They were given new names upon being baptized, to signify the new life they had received. These names were not always the names of Old Testament or New Testament saints, but often people were named for things like Christian virtues: "Faith," "Hope," "Love," "Patience," etc. People also often took on the names of feasts, like "Theophan" for Theophany, "Evangelia" for Annunciation, or "Anastasios" for the Resurrection, or Pascha. But the more common practice developed of naming those who were baptized after saints. Also, in many cases, though a saint had been given a Christian name at baptism, they continued to be known by their pagan name, and so their pagan name became a Christian name, as is the case with saints such as the Great Martyr Demetrius, St. Vladimir the Great, and his grandmother, St. Olga. The Serbs have a unique practice. Instead of each individual having the name of a patron saint, each family has a family "Slava" or patron. The nice thing about this custom is that on the feast of a family Slava, the entire family joins in a common celebration. Even in secular culture, people often name their children after people that they admire, and hope that their children will emulate. Christians name their children after saints because they hope that their children will emulate the virtue of the saints whose names they bear. And they also hope that their children will feel a close spiritual connection with that saint. 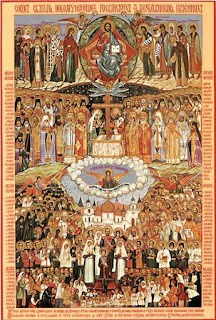 I know an Orthodox family from a Pentecostal background, and when their children (who were still attending a Pentecostal School) were asked about their patron saints, they were told by their parents to say that they were their heavenly prayer partners... which puts it in a way Protestants can understand, but it is also pretty much on target. We especially ask our patron saints to pray for us to God. Having a patron Saint also gives us a responsibility to especially preserve the memory of that Saint. As such, we should mark their feasts with prayer and pious celebration. This true of individuals, and it is also true of parishes that are named for saints. This is why the celebration of the Patronal Feast of a parish is considered to be a second Pascha, and should be treated as such by each member of that parish. The Church in heaven and the Church on earth are all part of the One Church. We are united by our faith in Christ, and by prayer. We have patron saints so that we do not think of the Saints in heaven as some undefined mass of nameless faces, but as a great choir of saints who were flesh and blood, just as we are, and who help us by their prayers on the path of salvation so that we may one day join them. Question: "I have heard it argued that since the time of Constantine, the Orthodox Church has been under the thumb of the state, and has done whatever the powers that be told them to do. What would you say to those who argue that we reject that Pope, but embraces "Caesaropapism""? If you look at the Bible, you see that there was no separation of Church and State in the Old Testament, and the Kings of Israel and Judah were not merely secular leaders, but had a role to play in the spiritual lives of their people, either for good or for evil... and those who promoted righteous are praised in Scripture, and those who led the people astray are condemned. Likewise, with the conversion of St. Constantine the Great, the emperors of the Roman and East Roman Empires played a similar role. However, the fact that the Church did not go along with the emperors when they tried to take the Church in a heretical direction is seen by the reaction of the Church to another Emperor Constantine... Constantine V, known to the Church as Constantine Copronymous. "Copronymous" was not his given name, but a name which according to tradition derived from his baptism. When he was baptized, it is said that he relieved himself in the font, and so foreshadowed the fact that he would attempt to defile the Church with his heresy. "Copronymous" means literally, "the namesake of crap." 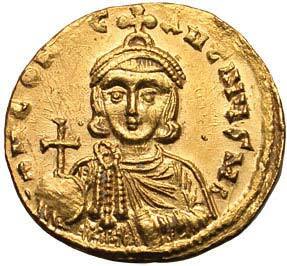 Constantine Copronymous was an Iconoclast, and he vigorously persecuted those who resisted him... and the faithful of the Church did resist him throughout his reign, and the reign of his son, Leo IV. Then after the 7th Ecumenical Council condemned the Iconoclast heresy, and after a mere 28 year respite, Iconoclasm was revived by the Emperor Leo V, but again, after another quarter century of the persecution of the Orthodox, Iconoclasm was again defeated, but this time for good. Had the East Roman (Byzantine) Empire had any concept of Caesaropapism, the Church would have embraced Iconoclasm, but instead it resisted Iconoclasm tooth and claw, until it finally triumphed over it. Often, when charges of "Caesaropapism" are brought up, the Orthodox Church under Communism is brought up, and the claim is made that the Church was the obedient servant of the Communist authorities. This claim is belied by the fact that in just the first 9 years of Bolshevik rule, 78 bishops, 2,700 priests, 2,000 monks, and 3,400 nuns had been killed by the Communists. By the 1960s, the number of priests who had been killed was estimated to have risen to 12,000. At one time, there were an estimated 150 bishops in Soviet gulags -- and before the revolution, there were only 130 active bishops, and so this means that not only were most bishops imprisoned, but their replacements were rapidly being imprisoned (Timothy Ware [now Metropolitan Kallistos] The Orthodox Church, (London: Penguin, 1964), p. 155f). The number of laymen killed for their faith is unknown, but it is believed to be in the millions. This is hardly a story of obedient servant doing the bidding of its master. The story is a complex one, and some resisted to martyrdom, others resisted and suffered in other ways. It is certainly true that many did capitulate, but this is true of any intense persecution in the history of the Church. "...all Protestants are Crypto-Papists; and, indeed, it would be a very easy task to show that in their Theology (as well as philosophy) all the definitions of all the objects of creed or understanding are merely taken out of the old Latin System, though often made negative in the application. In short, if it was to be expressed in the concise language of algebra, all the West knows but one datum, a; whether it be preceded by the positive sign +, as with the Latins, or with the negative −, as with the Protestants, the a remains the same. Now, a passage to Orthodoxy seems indeed like an apostasy from the past, from its science, creed, and life. It is rushing into a new and unknown world, a bold step to take, or even to advise" (Alexei Khomiakov, Third Letter to William Palmer (This is also the quote that Metropolitan Kallistos began his classic book "The Orthodox Church")). Because the west tends to see things either in terms of papism, or anti-papism (which is really democratized papism, i.e., every man is his own Pope), the west in inclined to want to impose some variation of the theme on the Orthodox, and so they claim we are Caesaropapists. The reality is, however, that we choose not to participate in papism of any variety. If you want to understand what Orthodoxy is, you have to understand it on its own terms, apart from papism. A Long Walk to Church, by Nathaniel Davis. For more on Icons and Iconoclasm, see The Icon FAQ. We had all better speak loud and clear now, while we still have the freedom to do so.